Book by phone – Speak to our friendly staff! On line booking – Book in 247 365 days a year. Insurance cover for Chiropractic – If you have it why not use it! How to find WellBeing Clinics – Easy to find. Large car park. Our patient results – what can you expect? Do you need Corrective treatment? Occupational Health – It just makes sense! The charity, Backcare, launches its awareness week on 7th-11th October. This year the charity turns its attention to the ‘forgotten army’ of helpers and carers who often have to lift/move the person they care for repetitively, and often in far from ideal postures. For many of these actions, had been in a work environment they would exceed current health and safety lifting guidelines. There are currently around 6.5 million carers in the UK with the figure set to rise to 9 million by 2037 due in part to our aging population. For many carers physical activity such as lifting is a significant part of their daily routine. However, not all carers will be aware of their back health and joint health when looking after someone. Although paid carers should receive training on how to protect their backs and joints during the physical aspects of their work, many unpaid carers, of which there are 5.8 million in England and Wales, may not receive any formal training or information about back and joint care and how to generally help look after their joints better. Of course sole carers looking after family members should they get in to trouble are usually in the least able position to rest if they get injured because there is often no one else who helps. To coincide with Back Care Awareness Week (7th-11th October) the British Chiropractic Association (BCA) and WellBeing Clinics has developed the following simple tips for all carers to help them whilst they’re helping others. Think ahead – assess each situation and look for the best and easiest way to achieve the desired result. This may mean using any available equipment whether it be for specialist lifting or a simple sack barrow for moving boxes of supplies. Follow the weight – always try and face the direction in which you want to carry any weight – your body is strongest when you are square on to the weight. Take care when lifting – never lift while twisting from the waist. Bend your knees, try to have a relaxed, straight back and if possible, brace your abdominal muscles. For added stability make sure that your feet are about a shoulder width or more apart before lifting. Try to use the bigger leg muscles to lift not the smaller back muscles. Ask for training – whether you are caring in a formal setting or helping someone at home, make sure you have been properly trained in how to use any equipment. Supportive shoes are essential – wear good, soft-soled shoes that are supportive and have a good grip on the ground. Try to take regular breaks – if doing a repetitive task, take a break every 20 minutes and do some simple stretches (see the video) to relax your muscles. Tim Hutchful from the BCA comments: “Carers spend long periods of time on their feet and put a lot of strain on their bodies, from lifting and assisting the person they are caring for, to moving equipment. Even though our bodies are very well adapted to a variety of tasks, carers need to be particularly careful not to overload themselves and put their backs at risk. Formal care settings should have lifting and moving equipment available and staff should always make sure that they have been trained in the proper use of all equipment. Home carers should make sure they receive home assessments for the person they are caring for as equipment can be loaned out – this will require appropriate training for proper use. Derby Chiropractors Ian Reed and Richard Nelson recommend the above very simple three minute video exercise routine – ‘Straighten Up UK’ developed by the British Chiropractic Association (BCA). ‘Straighten Up’ routine is really easy to incorporate into daily life, its aim is to help strengthen the spine, improve posture and general flexibility. All of which could help prevent you from getting into trouble. What if you are in pain and it is not going away? For specific advice or concerns why not call one of our Derby Chiropractors – Ian and Richard on 01332 224820 or use this link to see what conditions do Chiropractors treat. You can contact WellBeing Clinics by email if it is more convenient. If you decide that you would like to see if Chiropractic treatment could help you can book in 24 hours a day using our online booking service. 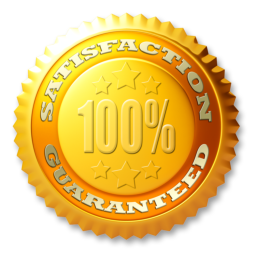 We also offer every patient a 100% satisfaction guarantee so you have nothing to lose and everything to gain. Subscribe to our health newsletter and join our other 1 111 happy subscribers. Please double check your email address is correct before pressing subscribe me! You will never have your details passed on to any other third parties. Each newsletter will have an unsubscribe link so you are in total control how long you want to be on our mailing list. Pass our blog articles on to others. Use the sharing buttons below each full blog post.